OCTOBER 10TH 1877. 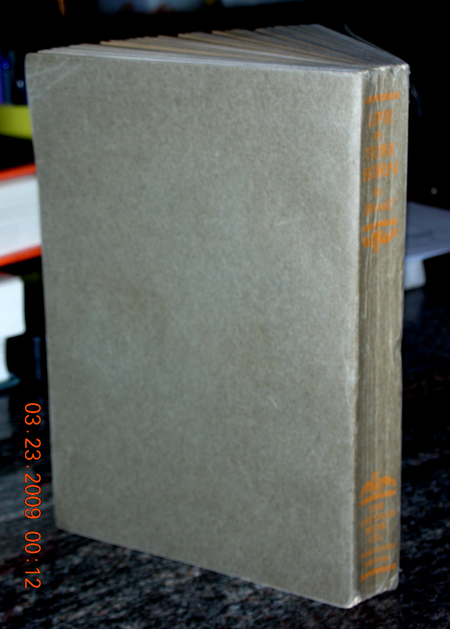 Original printed gray wrappers; 13 pages; light stains to cover edges. 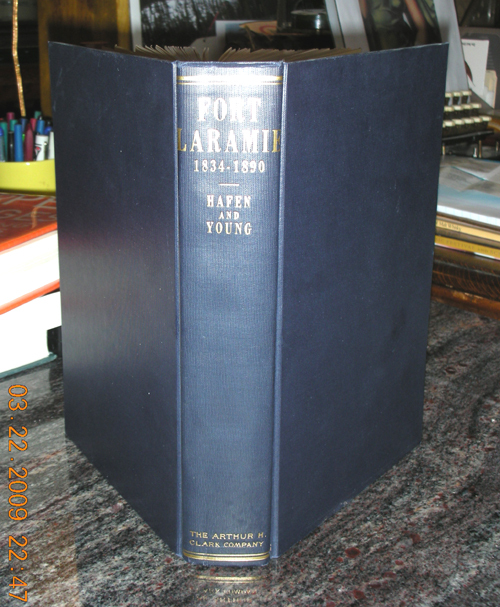 Laramie Sentinel, Printers. 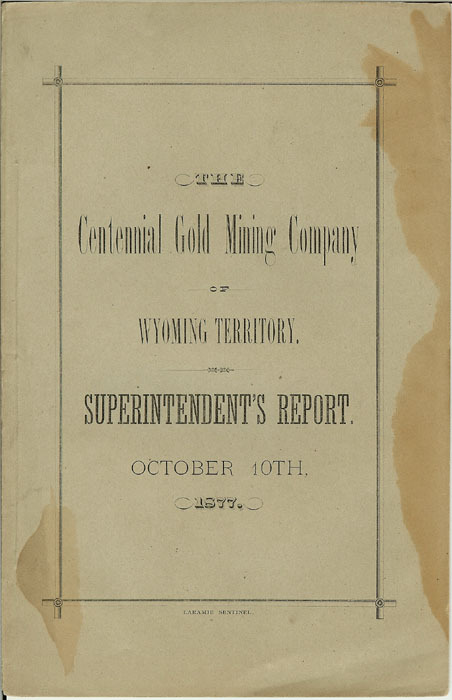 Stephen W. Downey, President, Laramie City, Wyoming Territory, 1877. N. M. Ambrose, Superintendent. Overall condition: very good plus. 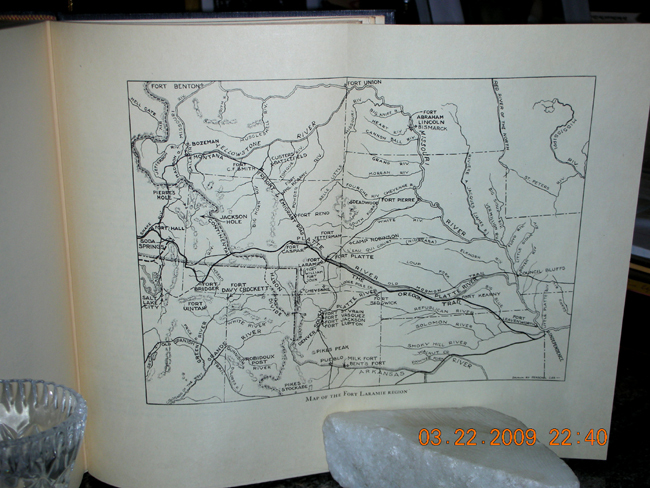 Mining property in North Park Region, near head waters of Grand, the North Platte, and Laramie rivers. 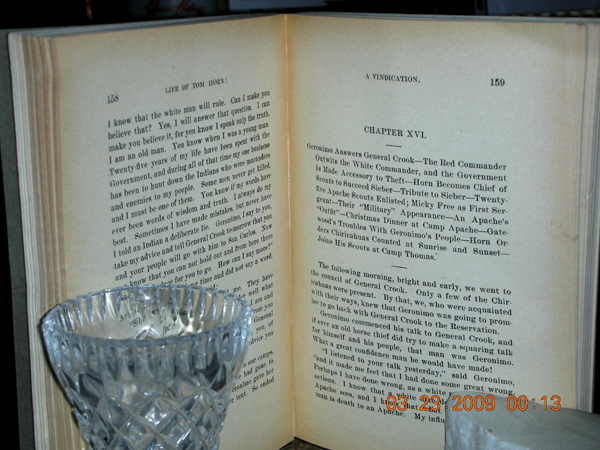 Published (for John C. Coble) by The Louthan Book Company: Denver, 1904, 1st edition. 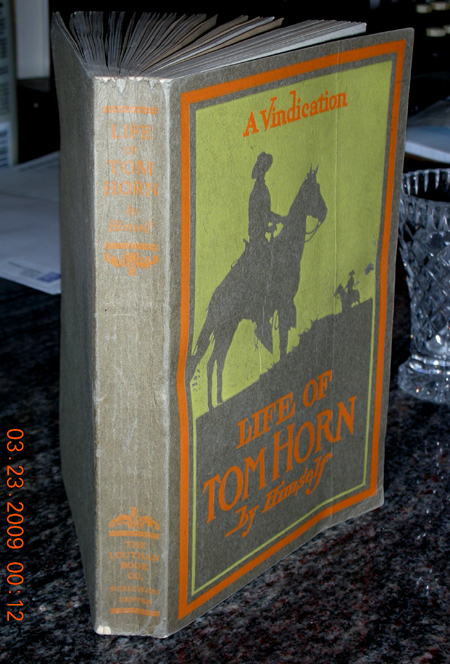 Original illustrated wrappers; 317 pages. 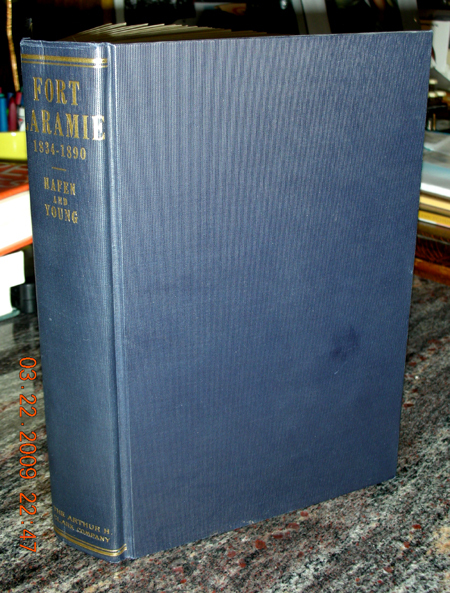 Very good plus condition: slight crease in front cover; pages lightly tanning; binding solid and tight; book clean and bright. Stock certificate, issued 1884, uncancelled; two folds, near fine condition. Company had ranges near old Forts Reno and McKinney, Powder River, Johnson County, Wyoming. Incorporated in Colorado. 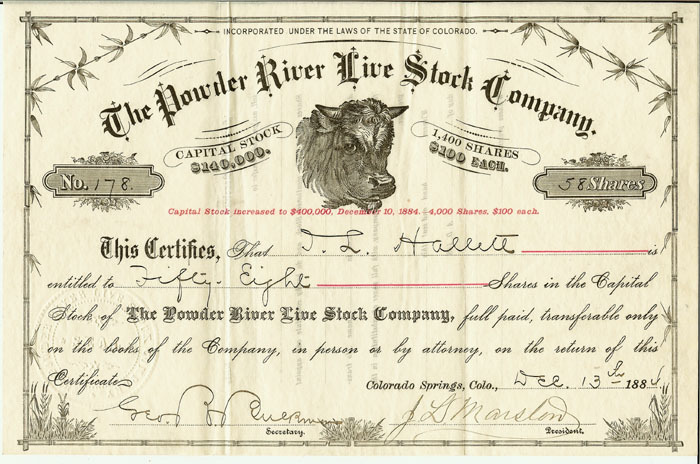 In spring of 1886, this Company had 24,000 head of cattle on the Powder River range. 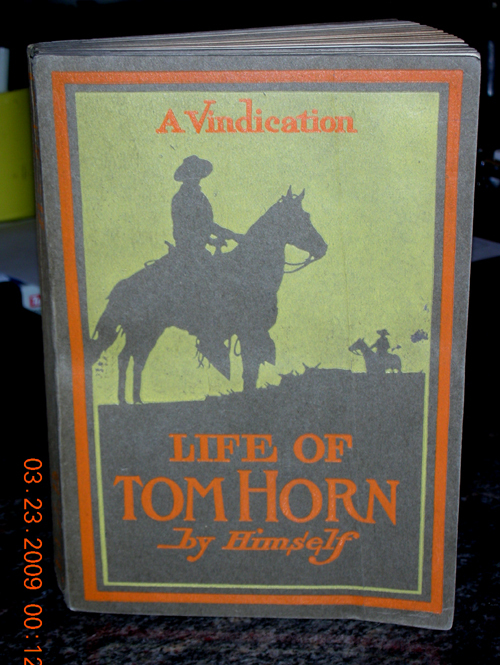 This Company was impacted by the "Johnson County War," where Tom Horn gained his notoriety. George Rex Buckman, a noted Colorado Springs promoter, was secretary of the Company and signed this historical document. Published by Rocky Mountain Nature Association Estes Park, Colorado, 1949. Original illustrated cream wrappers; 36 pages; illustrated with half-tones. Condition: near fine. "One of the most historic spots in the Trans-Mississippi West lies on the tongue of land formed by the junction of the Laramie and North Platte rivers, in eastern Wyoming ...."
Mokler, Alfred James. FORT CASPAR (PLATTE BRIDGE STATION), comprising a Description of the Killing of Lieutenant Caspar W. Collins and the Massacre of Sergeant Amos J. Custard and Twenty-Four of Their Comrades, July 26, 1865. Casper , Wyoming : The Prairie Publishing Company, 1939. 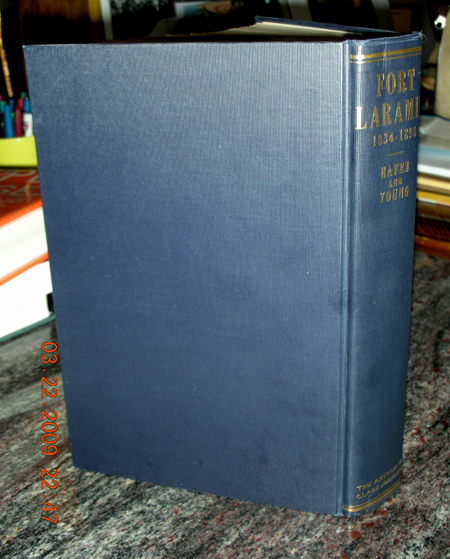 Original gray printed and illustrated wrappers; illustrated text, with maps; 75 pages; near fine condition. 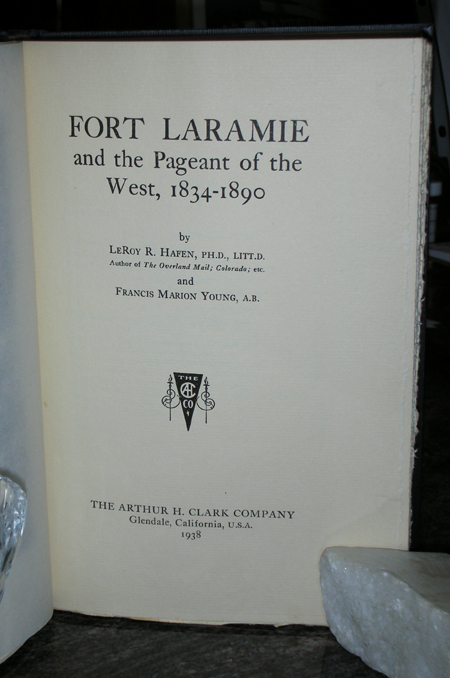 A scarce history of Fort Casper.